Public History Review is a peer reviewed journal investigating the nature and forms of public history: how and to whom is the past communicated and how does the past operate in the present? The journal provides a forum for historians working across all areas of the culture to pursue issues and reflect on practice; comment on historical representations; or extend our knowledge of public history as a field of study. We also publish scholarly contributions on history-related matters from those in other disciplines. The journal aims to engage academic historians more fully with the concerns of the public and public history work and seeks to articulate creative tensions between theory and practice. We welcome reviewers! 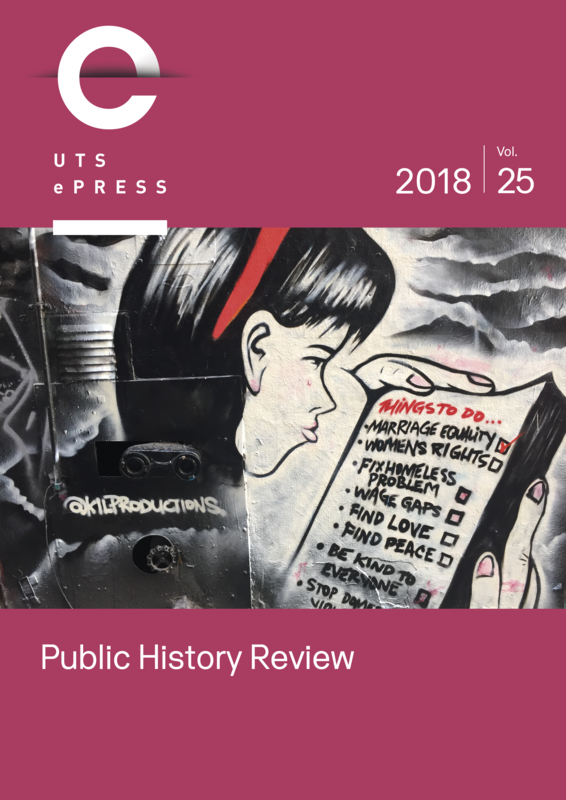 If you would like to review works for Public History Review please email the Journal Editor Paul.Ashton@uts.edu.au to state your interest.